The Nationwide Auto Transportation team would like to extend our best wishes to everyone who has suffered loss and devastation in the recent hurricane Florence that swept through Charleston, South Carolina, Virginia, and the Midlands. Heavy winds, rain and flooding can wreak havoc on an area, with strong winds that can cause damage to homes and buildings, either directly, or indirectly. Car carriers who worked with Nationwide Auto Transportation heeded the warnings ahead of hurricane Florence, with the result that none of our clients suffered any damages, for which we are thankful. Being able to rely on a network of professional, detail-oriented and proactive car carriers help us to deliver a better service to our valued customers. Review your insurance policy’s declarations page to see whether the policy pays cash value or replacement costs for a covered loss. Keep your insurance claims information (including the insurer’s name, address and phone number as well as your policy number) in a safe, easily accessible place. Protect your property to the best of your ability. Ultimately, it’s important to make the necessary changes to your insurance policy ahead of the next hurricane or tropical storm. It’s never too late. Now’s the time to change your deductible and add additional coverage. 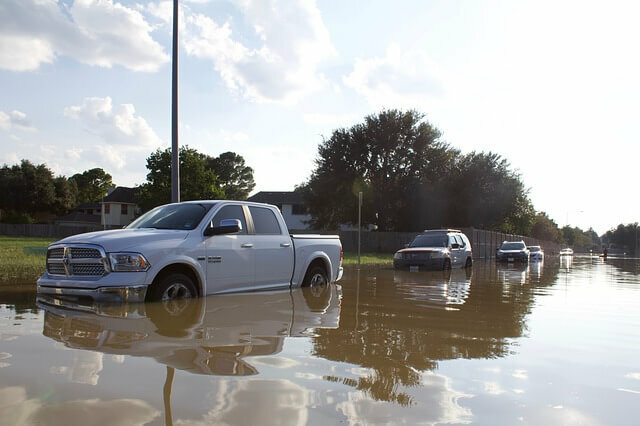 In this post, we’d like to provide you with tips and advice on how you can protect your vehicle during tropical storms and events such as hurricane Florence. Have you ever wondered whether some cities in the U.S. are at higher risk of experiencing the impacts of a hurricane than others? It often seems as though most hurricanes form in the Atlantic – Caribbean Sea, Gulf of Mexico and Atlantic Ocean – but never reach continental U.S. Hurricanes that form in the Northeast Pacific rarely hit the U.S. According to Chris W. Landsea, researcher at Atlantic Oceanographic and Meteorological Laboratory Hurricane Research Division of the National Oceanic and Atmospheric Administration (NOAA) in Miami, Florida, this disparity is caused by two main reasons. Northern hemisphere hurricanes form and subtropical and tropical latitudes before moving west-northwest. When this happens in the Atlantic Ocean, the motion will typically bring the hurricane into the East Coast. This same track will track hurricanes in the Northeast Pacific farther offshore. The significant difference in water temperatures between the West and East coasts is another factor. The Gulf Stream on the East Coast has warm waters that help maintain hurricanes. The comparatively lower temperatures on the West Coast do not provide sufficient thermal energy to sustain the strength of a hurricane. Hurricanes typically form in water temperatures warmer than 80 degrees F. and in trade wind belts that move east-to-west. Typically, in this region, hurricanes form somewhere between the Gulf of Mexico and the tropical central Atlantic. Those that form in the Caribbean and central Atlantic usually move westward at first before they recurve and sometimes strike the North American mainland. As for the eastern Pacific, the only water that is warm enough to sustain hurricanes, is found all the way down the central Mexico coastline. Most often, storms that form here move toward the west and away from the coast. For one of these hurricanes to make landfall on the U.S. West Coast, it has to traverse a significant distance and by the time it reaches Baja California, they have typically lost their hurricane-force winds. However, the heavy rainfall they bring can cause extensive flooding. 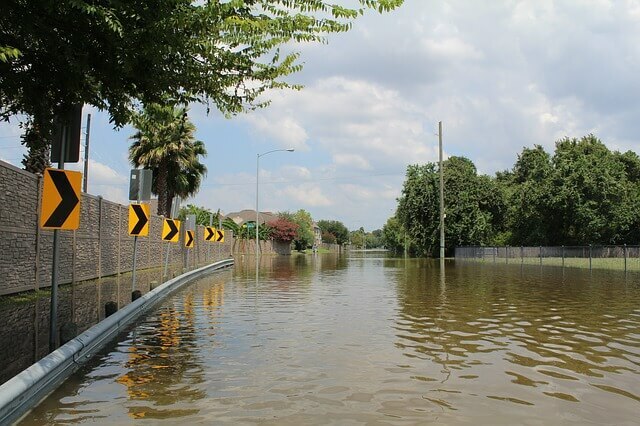 Homeowner and vehicle insurance policies can help cover some of the damages sustained due to a natural disaster. However, preparation ahead of a hurricane’s landfall can help reduce your losses. The American Red Cross, National Hurricane Center, and Federal Emergency Management Agency (FEMA) agree that following a comprehensive storm safety plan can help avoid the risk that come with being unprepared. Thankfully, modern technology enables us to know about most storms ahead of time. This provides some window of opportunity during which to make the necessary preparations to protect our property and flee to safety. Recently, we saw mandatory evacuation orders being issued in Virginia, North Carolina and South Carolina as hurricane Florence approached. Living in a hurricane prone area, you might have felt reasonably prepared. You understand the importance of following the storm’s path and you may have made the necessary preparations for your home – including piling sandbags in front of doors, and closing your hurricane shutters. However, the one thing most people regret is the fact that they overlooked: Preparing their vehicles ahead of the hurricane. Most of these vehicle preparedness tips are actually relevant all year long, and not only during hurricane season. 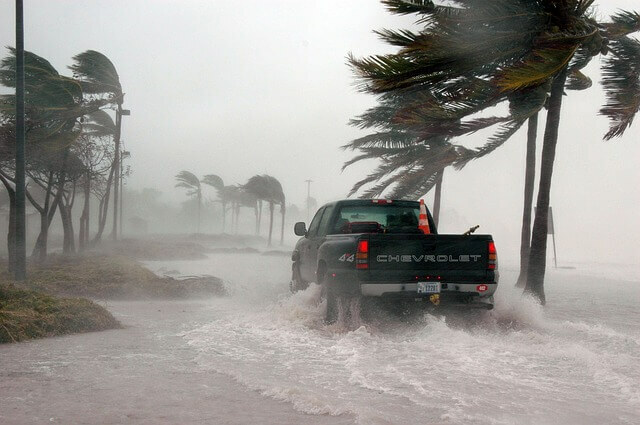 Your vehicle can be a great asset in protecting you and your family during a hurricane that makes landfall. Different insurers will offer different levels of coverage, so get in touch with your vehicle insurance agency to find out about the coverage your policy offers in the event of a hurricane. At the same time, find out what steps you must take in the event that you need to make a claim for hurricane damage. If you rely on your vehicle to transport you safely to your destination in the event of an emergency hurricane evacuation, be sure to keep it well maintained at all times. Maintain or replace wiper blades, tires, and the battery as per the manufacturer’s instructions, or when they are worn out. Be sure the fluids are replenished, including wiper fluid, coolant, radiator fluid, power steering, battery, brake and transmission oil. Keep your tires inflated according to the information supplied on the inside of the doorjamb. It’s also a good idea to include a bag containing a change of clothes and sufficient cash, in case the banks are closed and the ATMs non-operational after the hurricane. Be sure to fill up! As soon as the warnings sound, head to your nearest gas station and fill up. You don’t know how bad the hurricane will be, and it’s possible that the county may lose power for days. You may end up having to drive many miles to find shelter or to obtain services. Remember, millions of other people may be in the exact same situation, seeking gas, hotels and food. Most people remember their valuable jewelry and gadgets, but many fail to take care of the most important things. It’s important to make digital copies of any home and vehicle insurance documents, policy numbers, vehicle title and registration numbers and to keep a hard copy in a waterproof bag in your car. To fast track the insurance claim, it’s a good idea to take photos of your car(s) before the hurricane makes landfall. 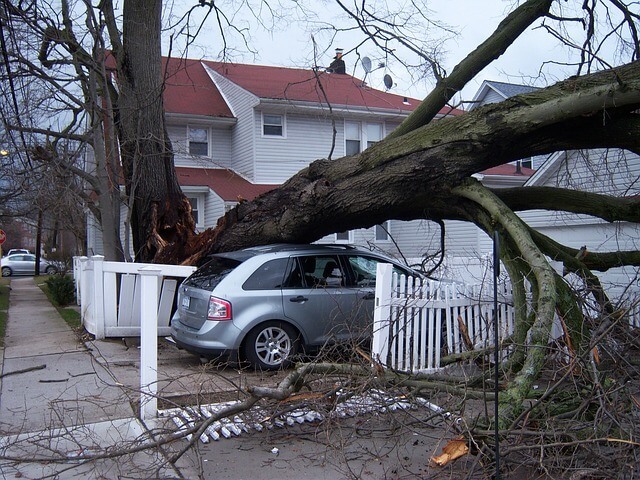 With photos as evidence, you will be able to show insurers the condition of your car before the storm. If you’re leaving items in the car, it’s important to take pictures of that, too. Whether you’re leaving a family car behind or carpooling with friends, it is of utmost importance to find a place to park your car on higher ground. This should help mitigate the risk of damage to your prized possession. If at all possible, park your car in the garage and pack sandbags and plywood against the windows and doors. Be sure to remove any loose items from the attic and shelves. If you have to stay put and can’t park in the garage, be sure to park against buildings, but away from falling debris, loose structures, trees, road signs, stop lights, power lines or light poles. You could park one car inside the garage, and the other parallel against the garage door in order to possibly break the wind in order to help maintain the integrity of the door. Reinforcing windows using masking tape. Fully cover the windows with masking tape in a criss-cross pattern. Even if the windows break, it should make cleaning up a little bit easier. Using a car cover. Salt water from the hurricane can cause the electrical wiring in your engine to be damaged, leading to failure in your drive train, engine or transmission. Use a thickly padded tarp to cover your car and protect it from flying debris and water damage. Be sure to apply your emergency brake. During an active evacuation, it is important to drive as safely and as slowly as possible. Avoid any flooded roads or bridges and drive straight to your shelter to avoid being on the road any longer than necessary. While the evacuation is in place, be sure to only drive if it’s absolutely necessary. Take care near downed power lines and avoid weakened roads, sidewalks, bridges and walls. Fallen objects may obstruct certain roads, so pay attention to that and follow instructions from authorities at all times. Remember, if you need your vehicle moved to safety, Nationwide Auto Transportation can help.